What Is In Your Pipe? - October 2018. Thread: What Is In Your Pipe? - October 2018. Off the Starboard Beam, Just Over the Horizon! Now smoking D&R Windsail Silver in a 1982 smooth straight Sasieni Ivory 105 Apple with a black vulcanite saddle stem. For my last bowl tonight it's Sutliff's Barbados Plantation in the Comoy's Tradition 368 apple. Now smoking Troost Slices in a 2015 smooth unfinished Savinelli 320KS author with a tapered black vulcanite stem. Going to work in a couple minutes. Not far from finishing this bowl of Stokkebye Natural Dutch Cavendish in a 1970s medium bend smooth Ben Wade Golden Walnut freehand with a black vulcanite stem. Taking a very short work break. A couple minutes away from smoking D&R Raccoon’s Delight in a smooth 1976 Canadian GBD Seventy Six 256 with a black vulcanite stem. Now smoking Jim's Evolving Work Blend in a 2003 Stanwell Golden Danish 56 Rusticated Canadian with a black vulcanite stem. 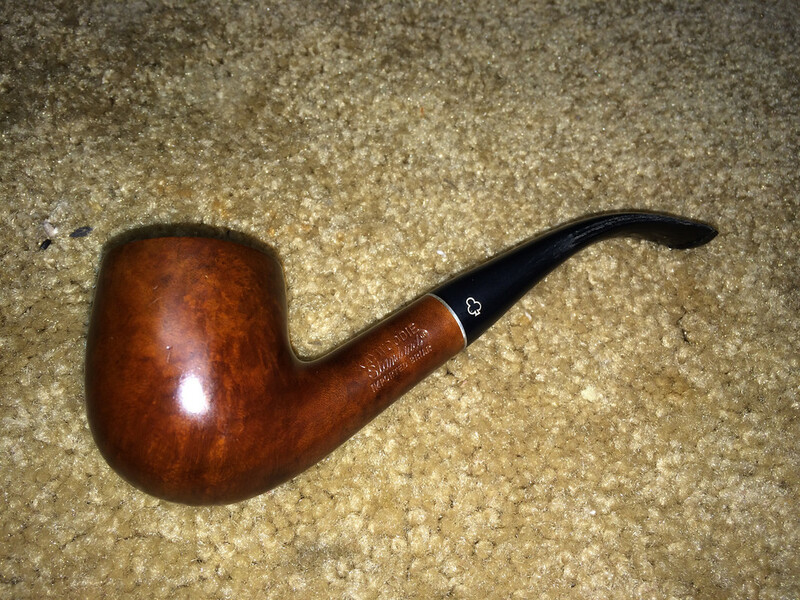 MacBaren HH Old Dark Fired Ready Rubbed in a Peterson Antique Collection bent brandy/billiard for breakfast. Strong coffee on the side. Close to finishing this bowl of MacBaren HH Balkan Blend in a full bend black pebble finish 2001 Rinaldo Lithos YY8 Titania Silver Line egg with a black acrylic stem. I did finish work, and now it's time to feed Suzy and Molly. 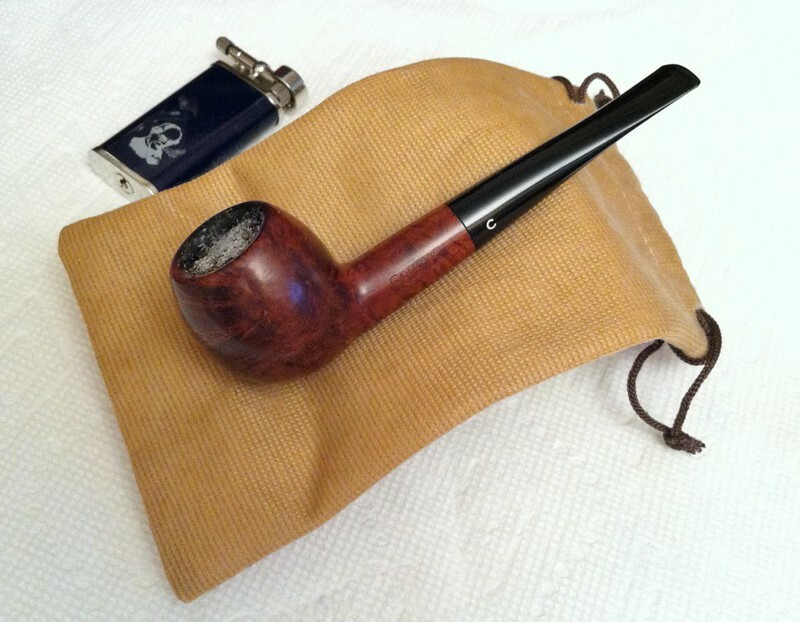 Enjoyed a tasty Jazz apple and some raisins, and my last smoke of the day is Edgeworth Ready Rubbed Match in a very much appreciated 1979 brown, slight bend grain etched flat front Stanwell Rego 969-48 (09) with a black vulcanite stem.